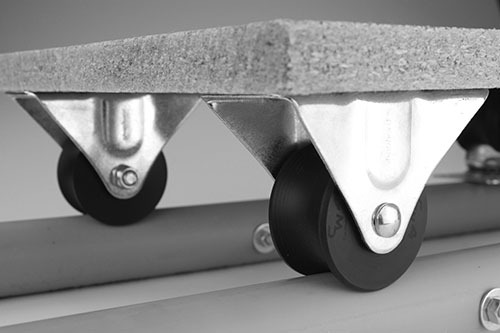 This set of (4) CW4 wheels mounted on 4 rigid casters can easily be attached directly to a piece of plywood to create a dolly that can easily carry a load of 300lbs (140kg). Each assembly has a wheel that comes with 2 installed bearings with a 8mm bore. A total of 3 spacers were used on each piece to remove any stress on the bearings. 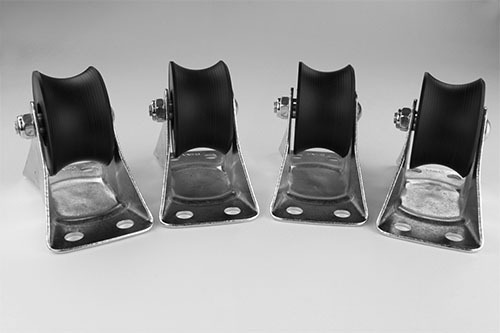 The CW4 wheels are made of a plastic with a durometer that is hard enough to avoid friction problems and soft enough that they aren’t brittle and easily damaged. 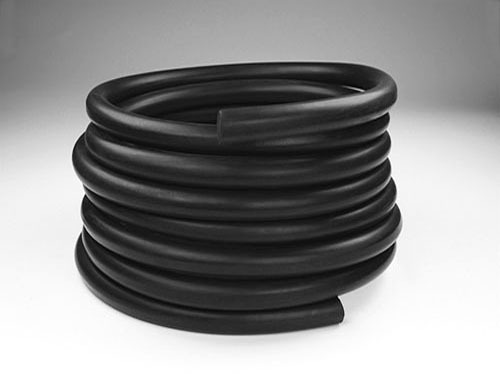 You can use these on any pipe with an outer diameter up to 1-5/8inches (44mm). 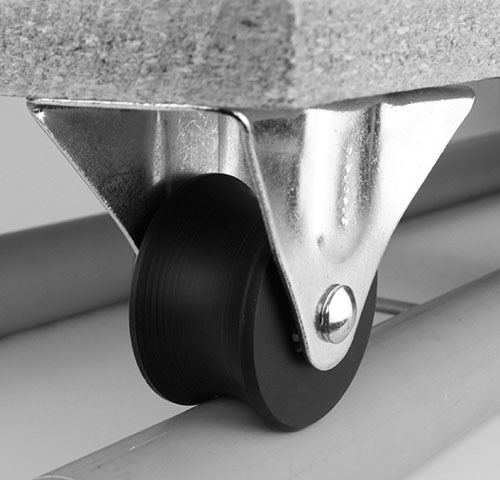 You can also use the individual wheels to replace the wheels on most dollies that use skate/skateboard wheels. The diameter of the wheel is 58mm (2.28 inches) and a width of 33mm (1.30 inches). 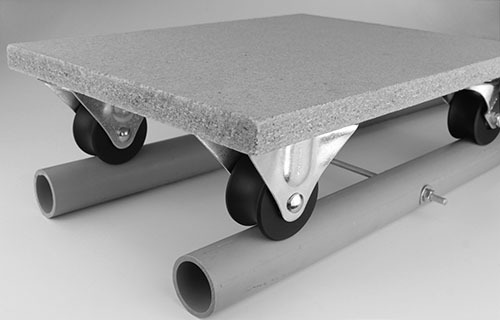 This set of (4) CW4 wheels mounted on 4 rigid casters can easily be attached directly to a piece of plywood to create a dolly that can easily carry a load of 300lbs (140kg). Each assembly has a wheel that comes with 2 installed bearings with a 8mm bore. A total of 3 spacers were used on each piece to remove any stress on the bearings. 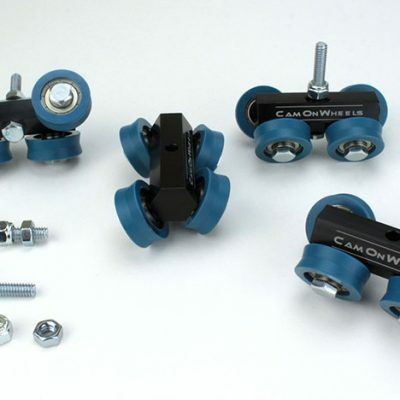 The CW4 wheels are made of a plastic with a durometer that is hard enough to avoid friction problems and soft enough that they aren’t brittle and easily damaged. I just purchased these last week. I ordered them on a Monday and received them on that Wednesday! They work perfect for the use described in the photo above. I actually was impressed with the quality for the price charged.